All kids should learn to cook. It is a lifelong skill that will teach them aspects of science, math, problem-solving, history, culture along with honing their fine-motor skills and igniting creativity. Plus, cooking at home (mostly from scratch) is one of the best things we can do for our health and our bank accounts. I started cooking with my parents as a toddler and it instilled a positive relationship with cooking and food that has stuck with me for my whole life. 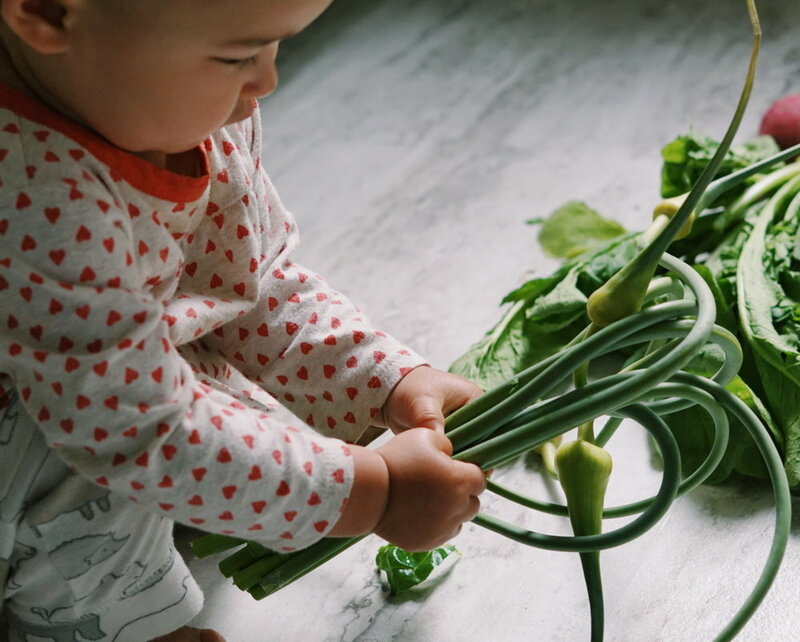 Investing time to explore cooking and exposing kids to different types of foods at a young age help teach them how to have a positive relationship with food (and the way it affects their body) and helps set them up with a lifelong skill that they can take pride in. Plus, kids are more likely to eat when they helped cook! If you haven’t started cooking with your kids at a young age, don’t fret, investing the time to teach kids to cook at any age will eventually pay off when they are capable of creating a meal for themselves. One day, your children will be grateful that you taught them to boil the water before adding the pasta. Start with simple tasks that are age appropriate. 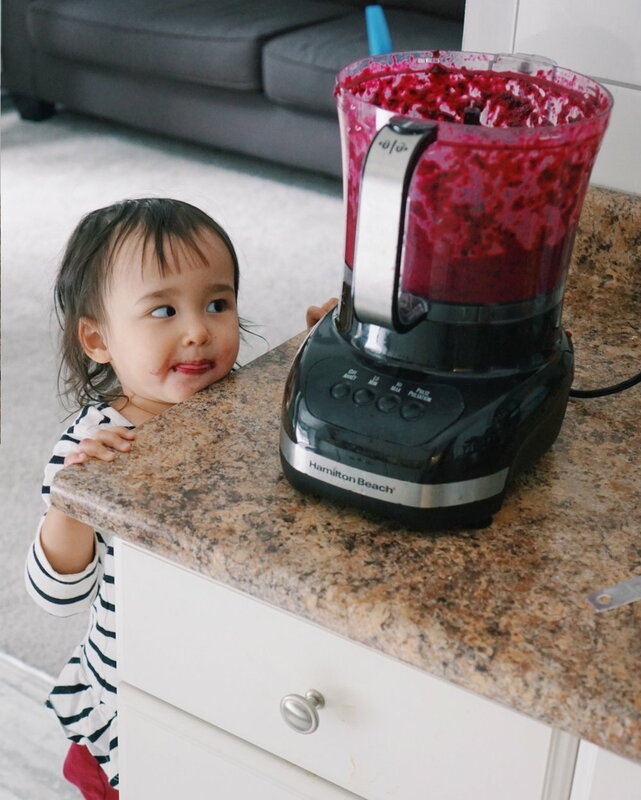 As your children learns they will naturally start exploring new cooking tasks that excite them. 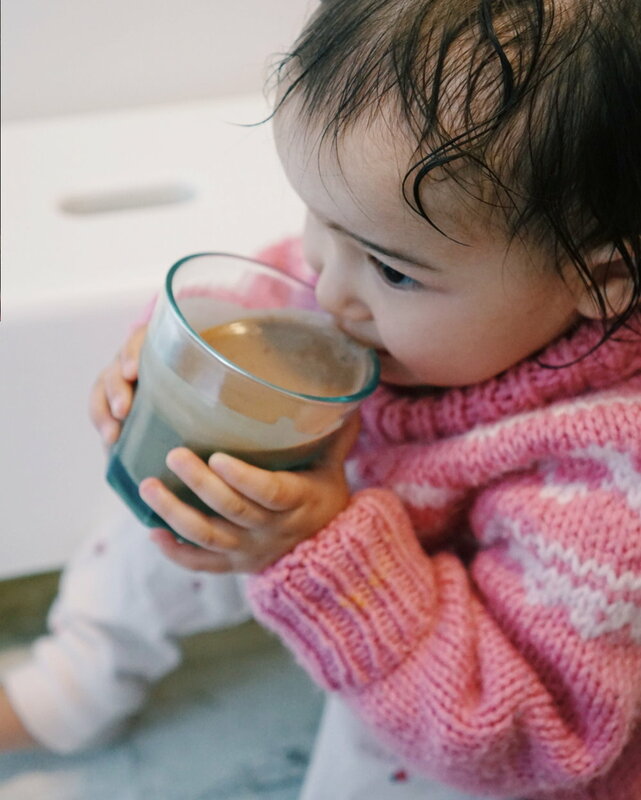 At first, your little ones may start tasks and lose interest. Allow them the time to find what interests and excites them in the kitchen. Eventually they will build up the engagement to not only complete kitchen tasks but whole recipes by themselves. Let them do any task they are capable of. Let them experiment and make a mess (it’s going to happen even if you don’t want it to). Most importantly, let mistakes happen – they will learn from them and you will both live to cook another day. 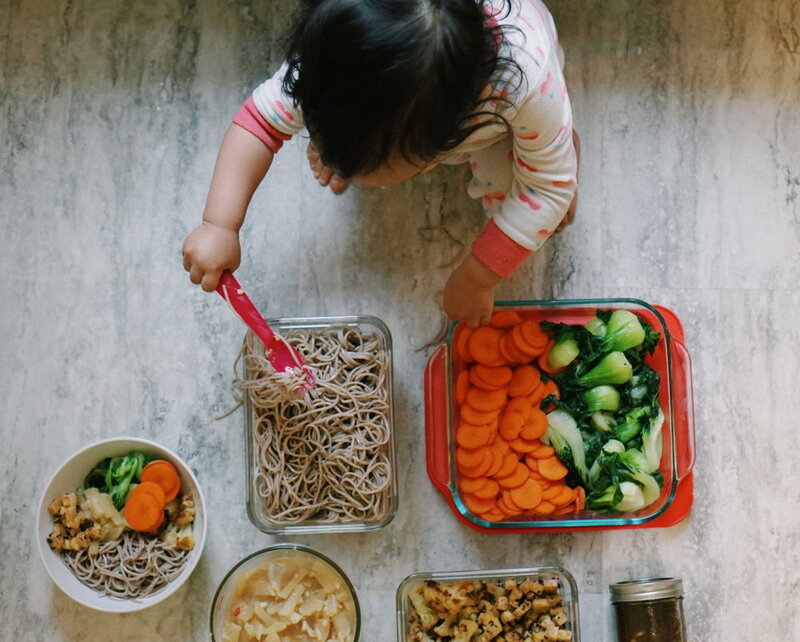 Be prepared that getting kids to help in the kitchen is far from efficient – you will be able to get dinner on the table much faster and with a smaller mess than if you were to take the time to teach and explore with your little ones. 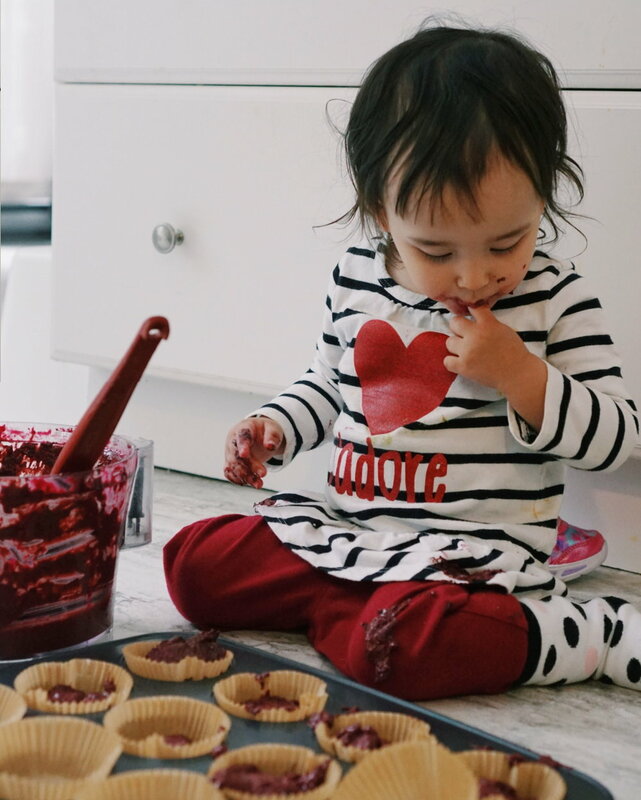 When you begin introducing kids to the kitchen make sure you have the time (and patience!) to let them ask questions, explore, and make mistakes. Have at least one day a week where you are not rushed to go into the kitchen together. Get outside together and explore foods in your neighborhood. Hit up the farmers market and let them choose what to buy for dinner. If you have access to a garden, teach them how to harvest vegetables. Find wild foods you can learn to forage together (only forage if you are knowledgeable about wild plants). If the weather is not cooperating, then explore inside using cookbooks to discover other cultures or to find inspiration. Anything that will excite your child’s culinary inspiration. Spark your kids interest by getting a little dirty. No need to have a big garden – just a few pots on a balcony or a few herb pots on a windowsill is enough to teach kids how to grow their own food. Growing (and cooking!) their own food will help them form positive relationships with food that will last a lifetime. Teaching kids to cook, also, opens up important conversations about food. It’s the best way to teach kids about all aspects of food. About how food makes us feel and how to have a positive relationship with it. What ingredients goes into “real” food and what does not (hello, “red dye #40 and “high-fructose corn syrup”). Where our food is coming from and the impact it has on our environment, other humans, and animals. Food insecurity and how not everyone has access to enough healthy, culturally relevant food. These might seem like adult conversations and some topics may seem taboo (i.e. conventional animal farming or eating disorders) but teaching children from a young age how to have a positive relationship with their food and to be educated about what goes into what they eat and where it comes from is setting them up for a lifelong love affair with food. Getting kids cooking has been one of my passions for years. Here are a few more guides I have written to help you get started. Let me know your favorite ways to get kids in the kitchen is. Leave a comment, and don’t forget to tag your pictures #shupessoups on Instagram. I am excited to hear from you. Happy cooking!